Mazda makes big promises. 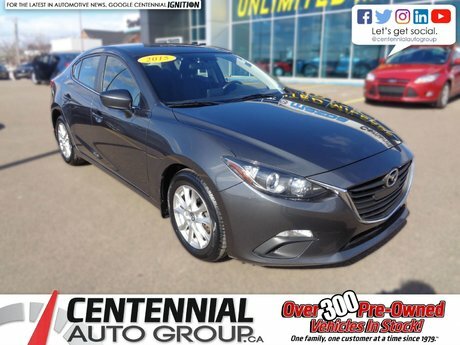 With the 2014 3 GS, Mazda's SkyActiv engine promised to be more powerful and more fuel efficient. The 3 is a case study in success, with better ride quality and better handling, and high-quality interior at an affordable price point. This 3 GS includes key features (air conditioning, keyless entry, rearview camera, cruise control) plus key upgrades like 6-speaker audio, a 7-inch touchcreen, and pushbutton start. 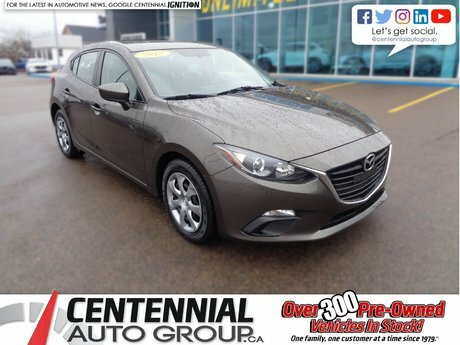 Interested by the 2014 Mazda Mazda3 GS-SKY **AS LOW AS $50.00 WEEKLY PLUS TAXES** | **Financing available for almost all credit situations** ?